Here’s why you should try this recipe: It’s a low-cal Weight Watchers recipe (only 4 points), it’s great for summer because it cooks outside on the grill, it’s incredibly easy to prepare, AND IT’S DELICIOUS! 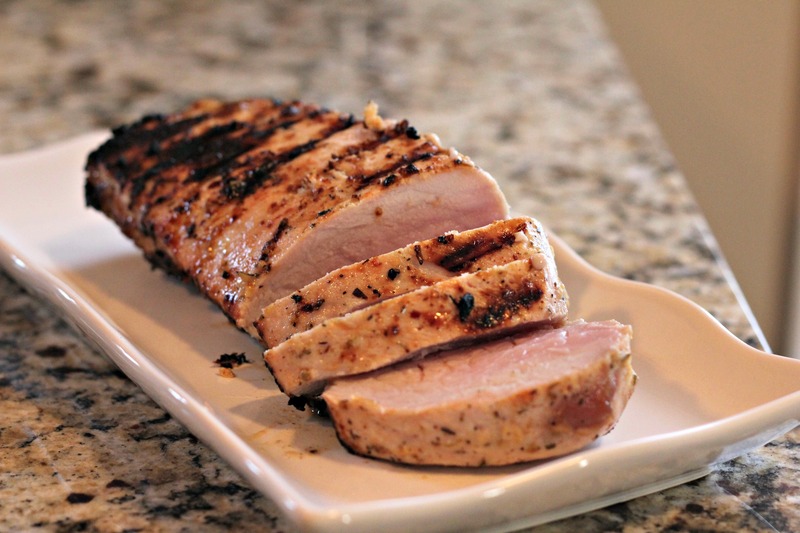 We’ve made lots of pork loins, but they’ve always been oven-baked or smoked in the smoker. I really liked the extra flavor from the grill. All I had to do was prepare a very simple marinade, let it sit for a few hours, and then my awesome grill-master husband just threw it on the grill. Super easy. One thing I would recommend (and I wish we had done) is to put in a meat thermometer while it was grilling. Since this is such a thick piece of meat, it’s really hard to know if the very center is cooked all the way. We took it off the grill and ended up having to put it back on because the ends were done, but not the center. It didn’t affect the taste at all though because it was awesome! Combine all marinade ingredients in a large Ziploc bag. Add pork, refrigerate 4 hours or best if overnight. Remove pork, discard marinade. Grill on med heat for 20 – 25 min or until internal temp is at least 145°. This looks delicious. I have not prepared pork tenderloin in a long time. Wonderful recipe! It’s 3 Tablespoons. Sorry for the typo in the recipe. I’ve fixed it now.